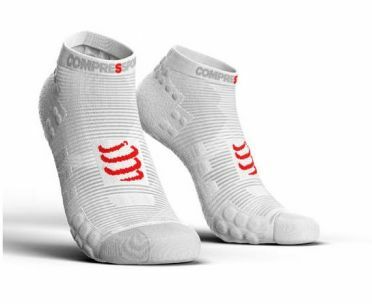 The Compressport Pro Racing V3.0 ultralight low running socks white are a must-have for all runners: they offer additional high-ventilation weave around the ankle for increased lightness and breathability . 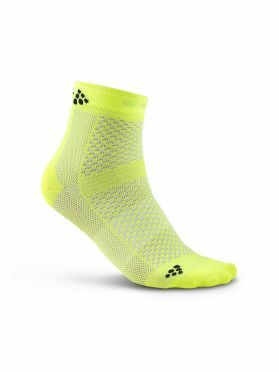 These snug running socks are high-cut , fitted with additional 3D dots on the inner malleolus to help prevent shocks and ultralight for a weightless sensation. Ankle strap for additional support to reduce shock on the Achilles tendon and the back of the foot 360-degree arch support, providing perfect hold and comfort no matter how intense the effort or the terrain. Multifunctional 3D dots that provide slip-proof grip, shock absorption, ventilation, thermoregulation and acupressure. 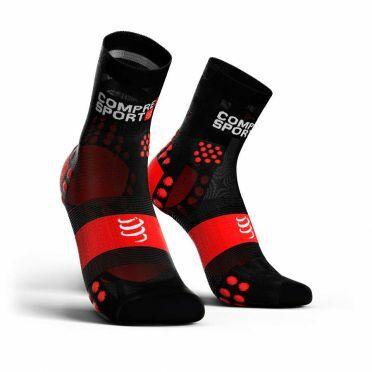 The Compressport Pro Racing V3.0 winter running socks black are warm socks specially made for the winter. 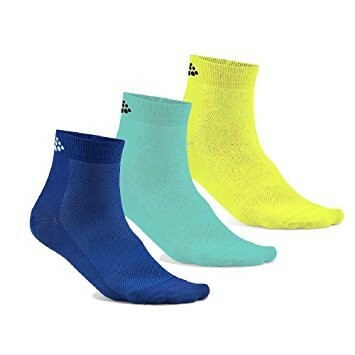 The sock are made of merino wool and stimulates the blood circulation, which keeps your feet warm. They have a high breathability and provide a perfect hold no matter how intense the effort or the terrain. 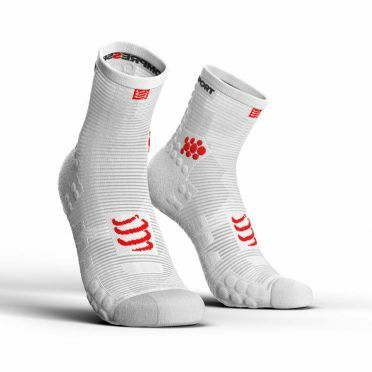 Thanks to the ergonomic fit, the sock fits every foot. 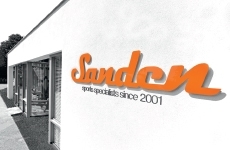 The soft, elastic and seamless material is very soft en comfortable. 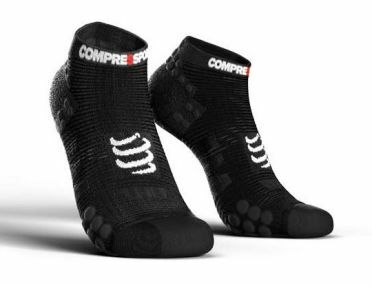 The Compressport Pro Racing V3.0 ultralight low running socks black are a must-have for all runners: they offer additional high-ventilation weave around the ankle for increased lightness and breathability . 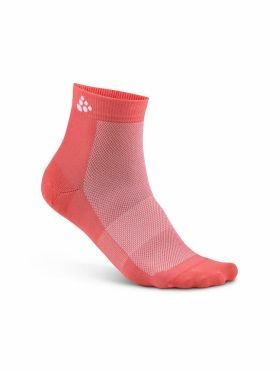 These snug running socks are high-cut , fitted with additional 3D dots on the inner malleolus to help prevent shocks and ultralight for a weightless sensation. Ankle strap for additional support to reduce shock on the Achilles tendon and the back of the foot 360-degree arch support, providing perfect hold and comfort no matter how intense the effort or the terrain. Multifunctional 3D dots that provide slip-proof grip, shock absorption, ventilation, thermoregulation and acupressure. 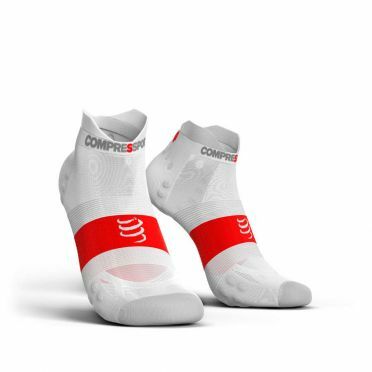 The Compressport Pro Racing V3.0 ultralight running socks white are a must-have for all runners: they offer additional high-ventilation weave around the ankle for increased lightness and breathability . 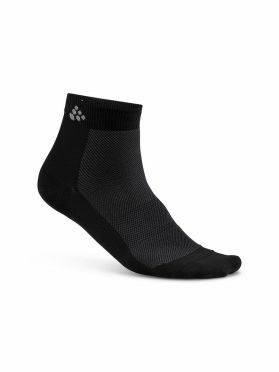 These snug running socks are high-cut , fitted with additional 3D dots on the inner malleolus to help prevent shocks and ultralight for a weightless sensation. 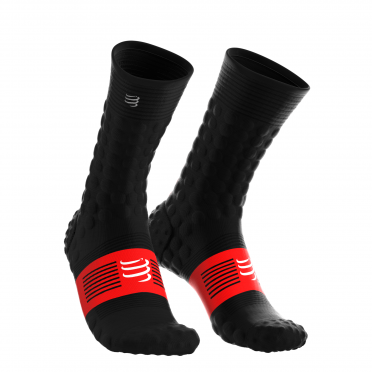 Ankle strap for additional support to reduce shock on the Achilles tendon and the back of the foot 360-degree arch support, providing perfect hold and comfort no matter how intense the effort or the terrain (extreme speed, descents, climbs, bends, tough conditions, etc.) Multifunctional 3D dots that provide slip-proof grip, shock absorption, ventilation, thermoregulation and acupressure. 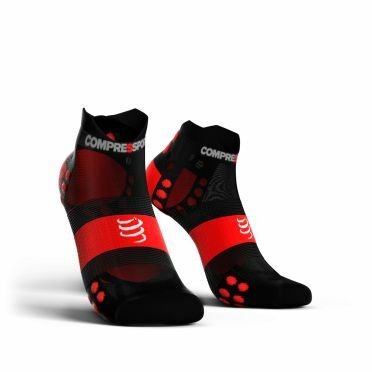 The Compressport Pro Racing V3.0 ultralight running socks black are a must-have for all runners: they offer additional high-ventilation weave around the ankle for increased lightness and breathability . 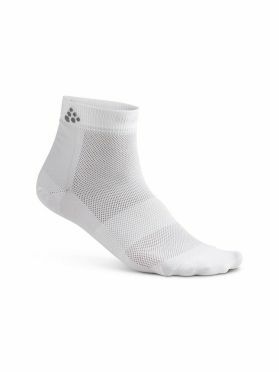 These snug running socks are high-cut , fitted with additional 3D dots on the inner malleolus to help prevent shocks and ultralight for a weightless sensation. Ankle strap for additional support to reduce shock on the Achilles tendon and the back of the foot 360-degree arch support, providing perfect hold and comfort no matter how intense the effort or the terrain (extreme speed, descents, climbs, bends, tough conditions, etc.) Multifunctional 3D dots that provide slip-proof grip, shock absorption, ventilation, thermoregulation and acupressure. 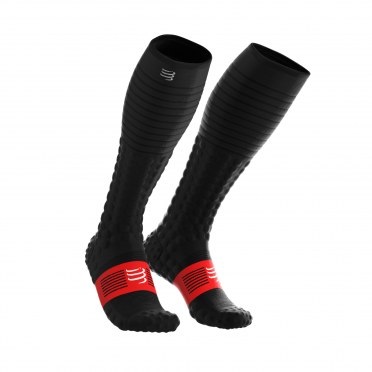 These Craft Compression run sock black unisex with tight compression fit, elastic instep band as well as wide, elastic cuffs. 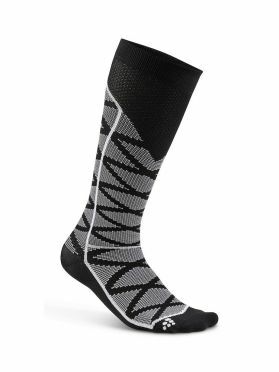 The CRAFT Compression Socks reduce muscle vibrations and support the motion sequence without being too tight. 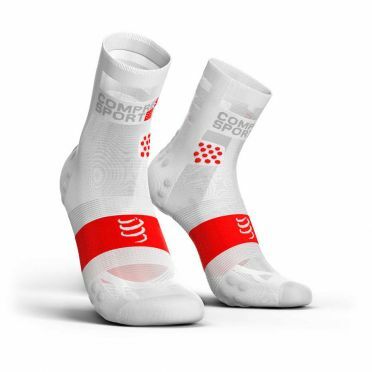 The compression prevents from getting superacid too fast and ensures shorter recovery times. Ideal before and after workouts. 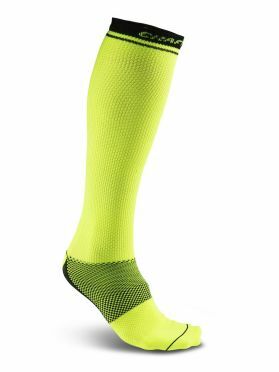 These Craft Compression run sock flumino unisex with tight compression fit, elastic instep band as well as wide, elastic cuffs. 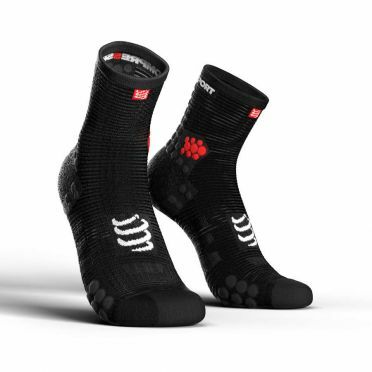 The CRAFT Compression Socks reduce muscle vibrations and support the motion sequence without being too tight. 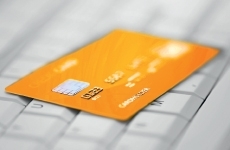 The compression prevents from getting superacid too fast and ensures shorter recovery times. Ideal before and after workouts.